Eating gluten free in Czech Republic is completely possible and getting better every year. I was originally visiting Czech every year because my husband’s whole family lives there. Then we made a massive change in our lives and decided to move there for over a year to spend more time with his family. I learned the language and immersed myself in the culture and learned so much about myself. 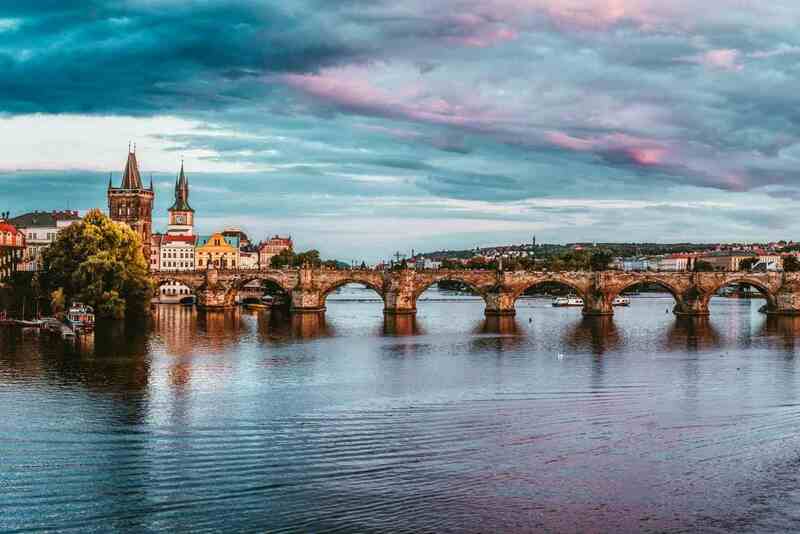 Did you know that Czech is one of the most non-religious countries in the world? The traditional Czech cuisine is heaped in dumplings, sirloin and a serious love for potatoe salad. The pub culture is also entranced in almost everyone in the country. Everyone drinks beer like it is water and do not be surprised if you see business people drinking over their lunch hour. While there are some places where you can enjoy traditional gluten free Czech food in a pub, like Svejk U Karla. Most of the pubs will not be able to serve you something gluten free. But do not fret, there are more and more gluten free places popping up in every Czech city. Unique things to see in Czech. Since I have immersed myself in the language, I can explain that I have celiac and I am super excited about that. The language is very difficult to learn, but I was up for the challenge. Now I can help you on how to communicate with restaurants. Gluten free is ‘Bezlepkovy’ and it is pronounced just like it is written in English. I also noticed many products from Germany and they had gluten-frei on the packaging. You can show them these phrases or try speaking with people, the choice is yours. 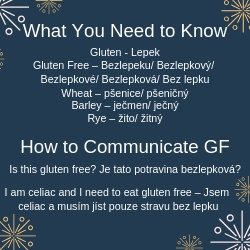 The general understanding of celiac disease or the word ‘bezlepeku’ in Czech is getting better and better. They have many health food stores and suppliers that offer allergen friendly items. Out at a traditional restaurant you may not have any options, but many of the other restaurants are embracing the gluten free and vegan menu options. You will likely have to do some cooking while you are in Czech, but you can still find some great restaurants. Not only can having breakfast at home save money, but it is also a time-saver. You should print out the celiac card in Czech so that you can show it at any restaurants that you are going to be eating at. Whatever snacks that you usually want should also make it into your suitcase. For me, I pack some granola bars, crackers and protein bars. You see later in number 4 why the rest is so important. I also packed a small chopping board, knife, fork, spoon, two plastic lunch containers, two small ice packs and some spice mixes as well. These items will get you through your first day in a new place and will cover you on your travel day. We flew from Canada to Czech using Air Canada or Air Lufthansa. I have been able to get gluten free meals on both carriers to Europe. I do, however, always pack snacks, just in case a meal for the flight isn’t there fore me. Disclosure: Some of the links are affiliate links, meaning, at no additional cost to you, I will earn a commission if you click through and make a purchase. 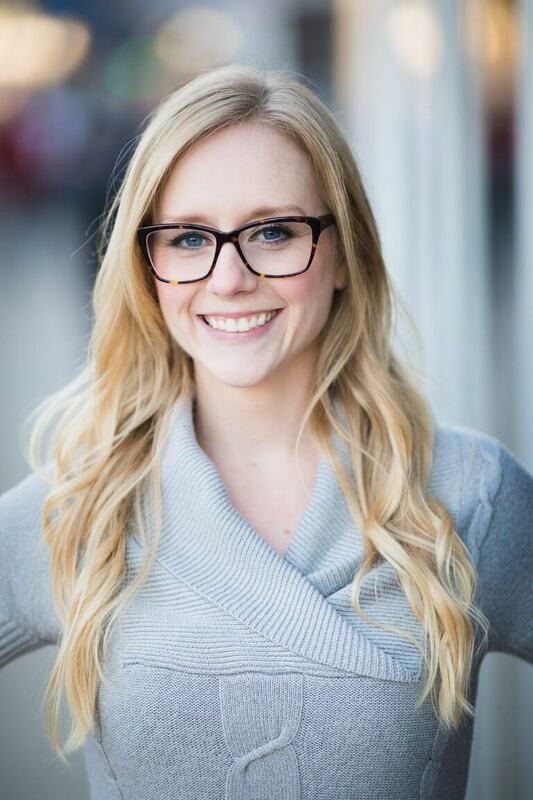 I want to be up-front and I only recommend products or services that I like, and it helps me deliver free content to my readers. A major step in being able to travel successfully while having celiac disease is having a kitchen. We used Booking.com and we found places in the areas that we wanted to be with a kitchen. This allowed us the freedom to prepare our meals in the safety of our home. Not only do you know your meals are safe, but it saves money too. We messaged the hosts prior to booking to confirm everything we needed was included. Once we arrived at the location, we would check out the kitchen and put everything in the dishwasher. Since wood kitchen products harbour gluten, that is why I bring a light-weight plastic cutting board with me. If you don’t have room in your suitcase, then you can purchase things when you arrive. There are lots of grocery stores you can try out. Most of them will have gluten free products in the health food section. Tesco will have everything you need. Albert has everything you want. They have a health food section, where I was able to stock up on lots of yummy gluten free foods. I was able to find gluten free fruit filled dumplings in the freezer section here. Lidl is another large grocery store chain that will have gluten free food staples to purchase. Again, tons of gluten free stuff here. DM is a general store where you can pick up gluten free items in their gluten free food section. Whenever I was walking around the main city center and needed a snack, I would pop in here and find gluten free muffins and granola bars. Billa is also very popular and will have many gluten free items in store. Delmart will have premium products to purchase and do have GF items. I picked up some first-class treats here. Depending which city you are in, you will also find health food stores that will have some local and unique gluten free items to purchase and try. This one is gluten free and has options for no yeast and low histamine Žijeme Bez Lepku. Everything at the Celiac Shop is 100% gluten free. If you want some traditional Czech desserts or bread, you can order it here and it is 100% gluten free at Bezlepkova Pekarna Liska. Express Menu offers premade meals that you just need to reheat, and they are pretty good. At Paradise without Gluten you can also order lots of gluten free items. Click here for my favourite GF Products in Czech. As you can see, the online ordering of gluten free products in Czech is a huge market and it happens much more than in North America. Finding gluten free products to use at home is a huge market, you just need to know where to look. With the traditional grocery stores and all the online stores, you should be able to find just about any product that you are looking for. All it takes is a little planning before you travel and you can have bread, flours, traditional dumplings, traditional desserts and so much more. Since I have done so much travelling in Czech I now have some clear favourites. I do have some adored restaurants to eat at and I would love to share those with you. Svejk U Karla is a fabulous gluten free restaurant in Prague. Everyone always raves about the ‘traditional food’ while travelling and as someone who has celiac, I can’t indulge. But here, I did! To take a peak at their gluten free menu, click the link. The servers are typical Czech grumpy-faced waiters, but do not let this stop you from eating here. Alriso Risotteria Italiana is a 100% gluten free restaurant and well worth the stop. The lasagna was fabulous. All the desserts looked great too. For their 100% gluten free menu, click the link. Babiccina Spiz is a must stop for gluten free treats. They have great items for purchase for lunch, a dessert or take-away. To see their offerings, check out their website here. You can even get traditional items. Click here for the Ultimate Gluten Free Guide to Prague. Šatlava Hradec is a fabulous restaurant for a date night and you will get high quality food. The waiters spoke good English and I was always able to communicate. You can see their regular menu here. Na Plavka has a delicious gluten free burger. I always had the burger and even tested it with my Nima gluten sensor, and it passed! It is a hype place with a great evening vibe. Click here for the Gluten Free City Guide to Hradec. Fresh Freaks Bistro is a 100% gluten free restaurant in Brno. This is the best option for all meals – breakfast, lunch and supper spot. Here is their Facebook page. Fat Free is a fancy 100% gluten free restaurant with a weekly menu using the fresh ingredients. You can’t go wrong eating here. Here is their website. Click here for the Gluten Free City Guide to Brno. Slunce is a raw and vegan restaurant focused restaurant with many gluten free items on the menu. You can see their website here. Vegg GO is marketed as a vegan and vegetarian place but also has many GF items. It is located in many food courts, so it is very accessible. Look at the menu here. As you hover over the item it will show you the allergens. The different menu items are under the main headings: soups, vegg burgers, salads, pot and pan meals, snacks and sweets. The food is all prepared in an allergen kitchen separately and delivered to the restaurant locations. I had the soup of the day, Mexicana rice salad, ratatouille and lots of desserts. McDonalds has gluten free items here in Czech! McDonalds is all over the country and you will be able to find one in the city you are visiting. I know you will be just as excited as I was. I got a gluten free McRoyal hamburger with a non-toasted gluten free bun and fries. I couldn’t believe it. I even tested it twice with my Nima Gluten sensor to double check. This is pretty awesome because McDonalds is all across the country so you can stop here if you need to and it is especially exciting if you need something quick to pick up. Unfortunately, all the beers I have seen in Czech are gluten removed beers, which is not safe for someone with celiac. Czech gluten free beer just does not exist. There are, however, many different types of ciders that you can order at most pubs or you can stick to wine or hard liquor. I was able to get the following ciders: Kingswood, Strongbow, Somersby, and Lisacke Jablko Cider (aka. Foxy Apple). If you do want to try a local alcohol that every Czech drinks, try Becherovka. It is produced in Karlovy Vary and it is gluten free. They use the Czech Koruna in the county and the equivalent would be $10 CAD for 170 Kč or $10 USD for 225 Kč. It takes a little of time to get used to the prices, but eventually paying 200 Kč for something will be completely normal. Of course, Prague is a must-see city and has magical power over you once you take a stroll on Charles Bridge. But there is so much more to the country. I can personally recommend some awesome cities and sights to visit that I just loved. Hradec Králové is a beautiful city an hour east of Prague. 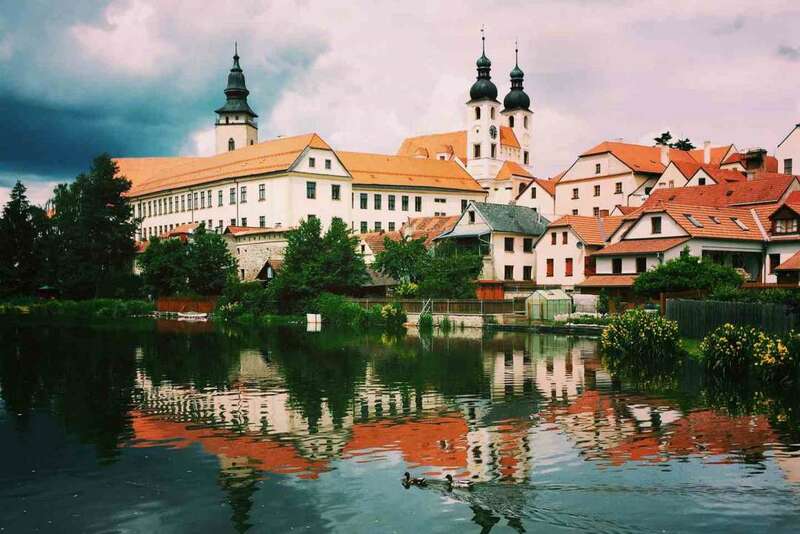 It was once a dowry city provided to Queen Elisabeth of Poland, who continued to live there for 30 years. The name of the city actually means Queen’s Castle. The architecture is stunning. Brno has the magnificent Spilberk Castle and the Cathedral of Saints Peter and Paul. There are also beautiful parks to visit and a bustling city center. Cesky Krumlov has a world renown castle that is a UNESCO site. The city is so picturesque, that you won’t be able to stop taking pictures. Cesky Budejovice has a unique World War II history. The American army and the Red Army met in the main city square to celebrate the liberation from the Germans. Konopiště Castle has some seriously cool and interesting history and is a must see when visiting the Czech Republic. It was founded in 1294 and has had many owners since then. In 1887 this was a luxurious home to the Archduke Franz Ferdinand of Austria. His assassination started World War I. For a part of history, the SS headquarters was the castle during World War II. It is located outside the city of Benešov. They have amazing tours, so I highly recommend any of them. You can see their website here and it tells you transportation options. Punkva Caves are located north of Brno. You can tour the cave and see some amazing rock formations. The tour also includes a boat ride in the mesmerizing underground river system. You arrive to the Macocha Abyss and the view from below is just breath-taking. You can only take amazing photos of it. You can see more here. Karlstejn Castle was constructed in 1348 by the Czech King, Charles IV. It is like visiting a fairy-tale. You can take tours of the interior and see such beautifully restored furniture and rooms. You can get to Karlstejn from Prague on the train, which leave multiple times per day. To learn more about the castle, see their website here. 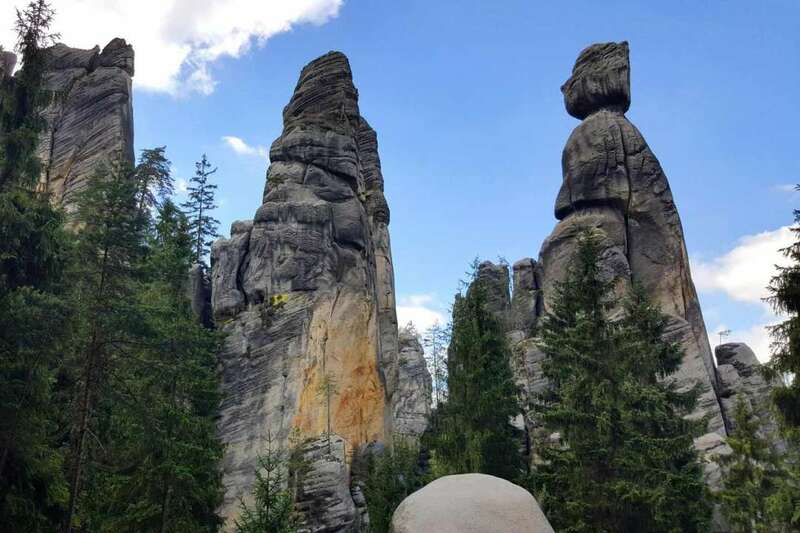 Hruboskalsko is an interesting park of unique rock formations. The landscape is sandstone towers, intermingled with trees and nature. While this is a climbers dream come true, the trails are still available for a nice family hike. You can visit their website here. I was living in Czech for over a year. I learned a lot about the country and where I could buy food that I could eat. I share my experience because I want you to see that it is possible. I love Czech and it is my second home. I know you will love the beautiful architecture and amazing history. If you have any questions, let me know at GlutenFreeTraveller. Stay social with me on Facebook, Instagram, YouTube and Pinterest. There is an excellent gluten free bakery right in the heart of BRNO called Smajlik – specialni pekarstvi. They have a shopfront at Náměstí Svobody 16, in an arcade near the Albert supermarket. Divine cakes, sandwiches and biscuits. Totally recommended if you go to BRNO. Hi Anne! Thanks for stopping by. I have been to Smajlik too and I love it there. They not only have everything gluten free, but they have great service too.